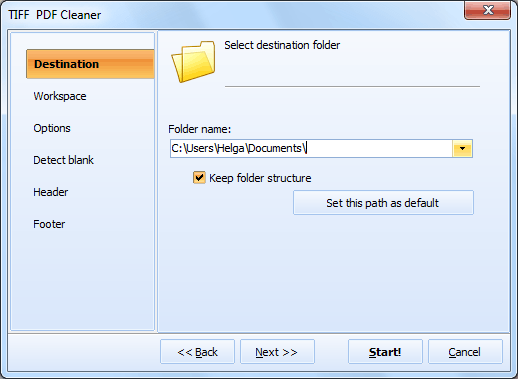 Tiff PDF Cleaner is used for scanning folders loaded with PDF and TIFF files and deleting blank pages. 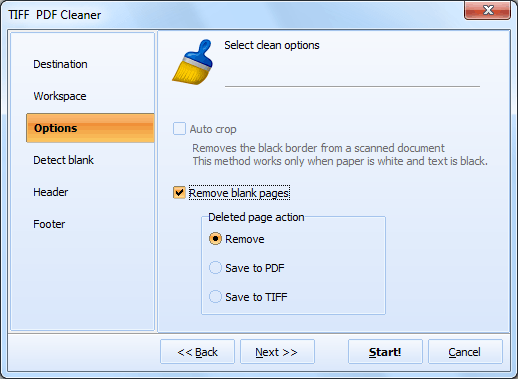 If you have acquired TIFF PDF Cleaner, you can set it to detect blank pages in your files (it can process folders with subfolders )and to delete them. To be on the safe side you can tell the program to extract blank pages and save then to a new folder. Later you can manually check if these pages are blank indeed. In the end, you will get a full report. It will show you a list of files that have been thrown out and count their number. With this unique utility, you can both remove blank pages files or save them as TIFF files. Besides, you can add dates to your TIFF documents. Now your files have the correct page counters! 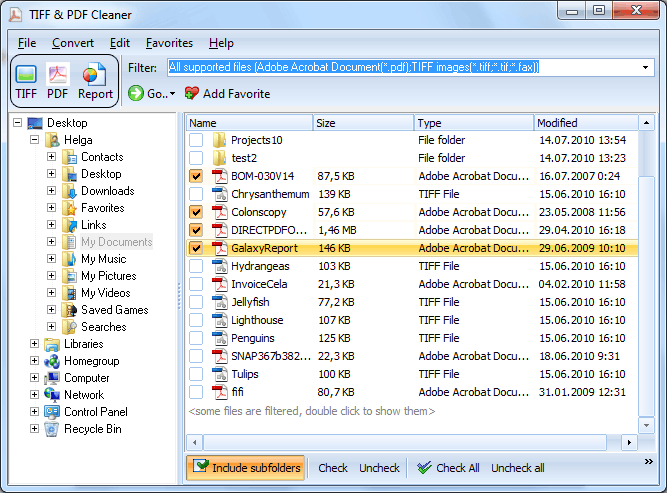 Now, launch TIFF PDF Cleaner and find the folder, which contains TIFF files. Select it and tick-mark the TIFFs to be edited. Select TIFF in the top left corner of the screen. Choose footers/headers in the wizard to add dates to your TIFFs. Don't forget to specify destination folder. Thus you will know where your newly edited documents will be located. To locate and delete blank pages, press the 'Check All' button. 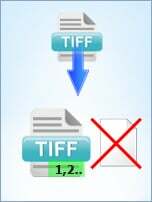 Select TIFF in the Convert menu. In the wizard, select Options and tick the 'Remove' option. Now, the program is ready to do away with all waste files. Turn on the vacuum cleaner by pressing the 'Start!' button! Also, you can do it in the good old command line fashion. You don't have to learn the params! Make the setting in GUI and get ready-to-use command line right away. There are two versions of this program available online: full version and demo version (30-day free). 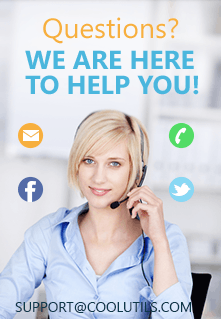 The license is life-time, which means that you don't have to spend more money onn upgrades or tech support.